Evanston author Gonzales discusses his gripping book about the crash of UA 232 in an Iowa cornfield 25 years ago, a disaster that 184 out of 296 on board survived. If you missed Gonzales’s appearance at The Book Stall, here’s another chance to hear him speak—and show slides about the crash, its victims, and its survivors. Luncheon. Celebrated author Gonzales tells his story of the crash of UA 232 in an Iowa cornfield 5 years ago this month—a crash that, miraculously, 184 of 296 passengers survived. See Jon Grand’s review our newsletter. LAURENCE GONZALES discusses Everyday Survival: Why Smart People Do Stupid Things. Laurence Gonzales , Everyday Survival: Why Smart People Do Stupid Things. Laurence Gonzales was born in St. Louis, Missouri, and grew up in Houston and San Antonio, Texas. 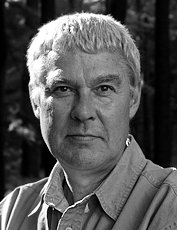 He is the author of numerous books, including the bestseller Deep Survival: Who Lives, Who Dies, and Why (W.W. Norton). He has won two National Magazine Awards and the Distinguished Service Award from the Society of Professional Journalists. Laurence Gonzales is currently considered a "single author." If one or more works are by a distinct, homonymous authors, go ahead and split the author. Laurence Gonzales is composed of 3 names. You can examine and separate out names.